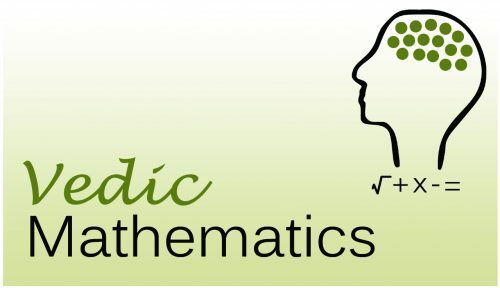 Vedic Maths formulas – Vedic Maths is all about the techniques and methods to sharpen the brain and focus on learning maths better. It is only possible by using a certain set of formulas which will help you solve and calculate fast like never before. If you do not have much idea about the Formulas of Vedic Maths then we are here with the top formulas used in the Vedic Mathematics. 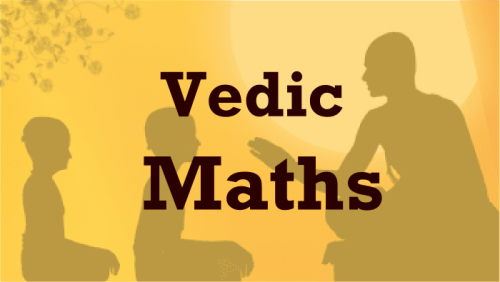 Back in the ancient times, Vedic Maths was one of the most prestigious ways to learn maths. But as soon as the technology started prevailing, the existence of Vedic Maths came as a question. In the recent times, people are now becoming aware of the benefits and importance of Vedic Maths. Learning the formulas of it will help you learn Maths on a greater scale. Vedic Maths consists of the sixteen “Sutras” or formulas on the basis of what you get to learn Maths fast. These formulas make up the whole concept of Vedic Maths and give you the satisfactory results in the school and overall academics. Below listed are the formulas of Vedic Maths. Ekadhikina Purvena which means by one more than the previous one. Nikhilam Navatashcaramam Dastah – All from 9 and from last 10. Urdhva Tiryagbyham – Vertically and crosswise. Paraavartya Yojayet – Transpose and adjust. Shunyam Saamyasamuccaye – When the sum is the same that sum is zero. Shunyamanyat – If one is in ratio, the other is zero. Sankalana-vyavakalanabhyam – By addition and by subtraction. Puranapuranabyham – By the completion or non-completion. Yaavadunam – Whatever the extent of its deficiency. Vyashtisamanstih – The remainders by the last digit. Sopaantyadvayamantyam – The ultimate and twice the penultimate. Shesanyankena Charamena – The remainders by the last digit. Ekanyunena Purvena – By one less than the previous one. Gunitasamuchyah – The product of the sum is equal to the sum of the product. Gunakasamuchyah – The factors of the sum is equal to the sum of the factors. What are the benefits of Practising the formulas of Vedic Maths? Vedic maths undoubtedly is one of the most effective forms of learning maths. These formulas will help you in solving and calculating the things pretty easily. If you are still thinking of learning Vedic maths then do not worry. We have brought you the major benefits of enrolling your kids in Vedic Maths training programs. Vedic Maths helps in achieving the overall success in the academics as it helps in increasing the concentration power and memory. The formulas and strategies for the Vedic Math are used throughout the life. The complete focus of Vedic Maths is on improving the solving power of the Maths equations. With the proper training, the answer to the toughest equation will flash in your minds. This method does not only cover the normal calculations but also help you in solving the advanced mathematics. The speed and the accuracy level of the child also improve like never before. Vedic Maths is now being preferred by most of the people for the benefits it has in store for you. With this growing demand, people are also taking interest in opting this as a business. It has a lot of scope and growth in the recent times because of the increasing awareness of its advantages. Not only the people are getting benefits, but the education system in India is also improving. This demand is expected to increase in the coming few years. Vedic Maths can benefit you in a variety of different manners. Learning the Vedic maths correctly will help you achieve everything in life. These formulas will help you hold the grip on the most hated subject among students. So, go through these formulas and implement them to get the best results possible.